Mexican warrior Jaime Munguia (31-0, 26 KOs) and Japanese contender Takeshi Inoue (13-0-1, 7 KOs) hosted a media workout today at The Knockout Factory in Houston, Texas ahead of their 12-round battle for Munguia’s WBO Junior Middleweight World Title. The action will take place on Saturday, Jan. 26 at the Toyota Center in Houston, Texas and will be streamed live on DAZN – which is just $9.99 per month after a one-month free trial. Fans in Houston can purchase tickets starting at just $25 at ToyotaCenter.com. Munguia vs. Inoue is a 12-round fight for the WBO Junior Middleweight World Title presented by Golden Boy Promotions in association with Zanfer Promotions and Teiken Promotions. Rojas vs. Can is a 12-round fight for the WBA Featherweight World Title presented by Golden Boy Promotions in association with Universal Promotions. The event is sponsored by Tecate, “THE OFFICIAL BEER OF BOXING,” and Hennessy “Never Stop. Never Settle.” The event will take place Saturday, Jan. 26, 2019 at the Toyota Center in Houston, Texas and will be streamed live on DAZN. 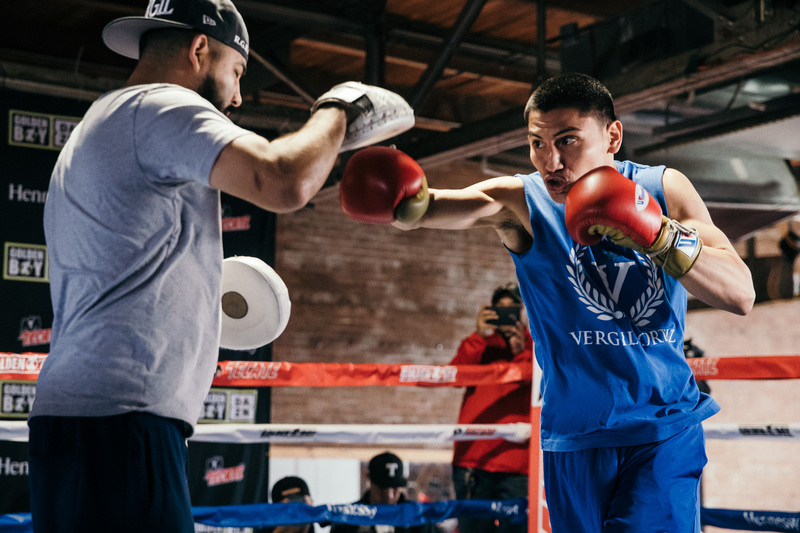 The post Media Work Out: Jaime Munguia fights Takeshi Inoue Sat, Vergil Ortiz appeared first on BoxingInsider.com. What do you do when Giannis is destroying your team and you feel helpless?